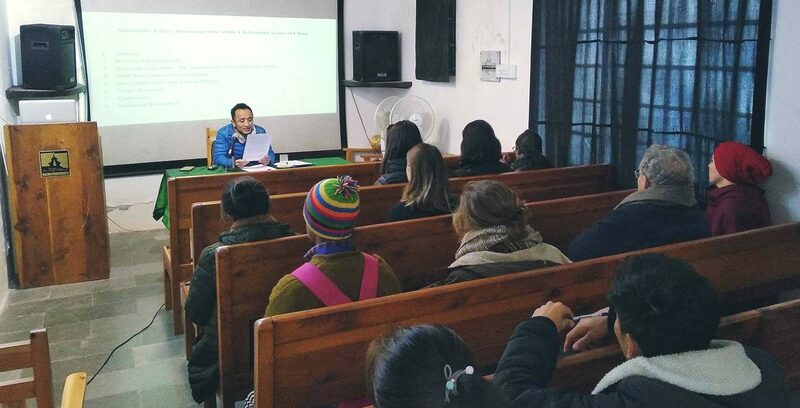 McLeod Ganj, Dharamsala: On 9 January 2019, for the Tibet Museum first talk series of this New Year, Tenzin Tseten, a research fellow of the Tibet Policy Institute gave a paper presentation on “Nationality Policy: Discussing one of the Challenging Issues of China.” The talk series program is held bi-monthly (on every second and fourth Wednesday of a month) at the Tibet Museum situated near Namgyal monastery, McLeod Ganj, Dharamsala. 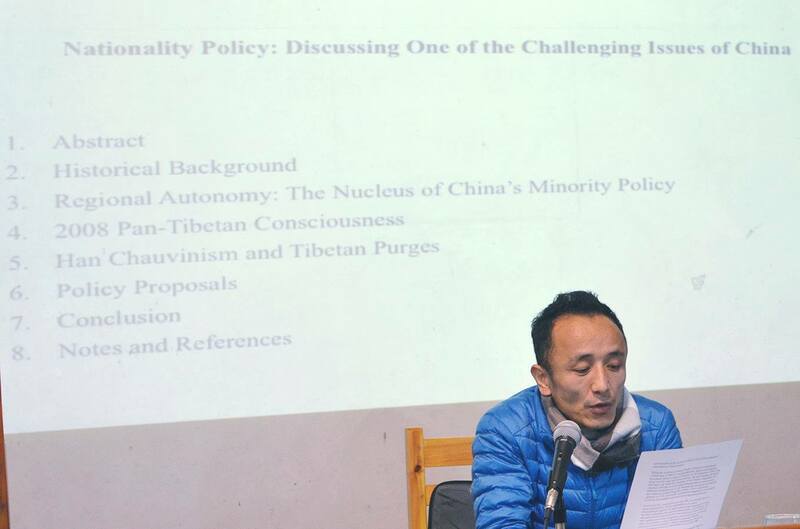 The presentation is divided into six sections namely historical background, regional autonomy: the nucleus of China’s minority policy, Han chauvinism and Tibetan purges, policy proposals and conclusion. The first section highlights the early history of nationality policy under the Republic of China and how its leaders from Sun Yat-sen to Chiang Kai-shek defined the notion of national minorities in their own terms. For instance, Sun recognized China merely as a Republic of five nationalities, however, Chiang simply denied the existence of national minorities regarding them rather as branches of Han. In contrary, the communist party under Mao Zedong in early 1920s put nationality policy in far more ambiguous term. Although the communist party nationality policy is premised on Marxist-Leninist nationality doctrine, the nationalities right to self-determination which was considered the core doctrine of nationality policy were not mentioned in any of the party’s earliest documents. The term self-determination appeared first time in 1923 declaration, but it was used in reference to China’s struggle against foreign imperialism rather than to a right adhering to nation. Following the establishment of the People’s Republic in 1949, the term self-determination that at least carries different interpretations so far formally put an end to its implicit use, which is evident from the country’s first constitution adopted in 1954. The second section talks about the adoption of regional autonomy as a system of governance in Tibet, The speaker argued that the system of regional autonomy is premeditated strategy to rule strategic minority areas like Tibet. Unlike autonomy in democratic political system, autonomy in Chinese context is defined by the principle of “democratic centralism” meaning subordination. Subordination of the minority to the majority, subordination of the lower level to the higher level, subordination of the individual to the organization and subordination of the whole party to the central committee. The third section is largely based on the book Division of Heaven and Earth: On Tibet’s Peaceful Revolution. The writer is a Tibetan secular intellectual who grew up under the Chinese government’s education system. In his book, Shokdung from the outset clarifies the nature of 2008 protests in Tibet. Although he did not wholly denied the existence of what the Chinese authorities called the peaceful Tibetan revolution of 2008 “the Lhasa incident of beating, smashing, looting and burning”, instead he recalls the larger picture of violence and atrocities inflicted on Tibetan people for more than fifty years under the Communist regime. By comparison, the outbreak of small-scale violence during the course of 2008 peaceful protests is not without reason. Ironically, Shokdung contends that Tibet’s peaceful revolution was large-scale in a sense that “it was consciously daring, determined and sincere, thus an example to the brothers by the same parents who prefer to survive like fugitive foxes since the autocrats will never yield to absolute values like freedom, rights and democracy simply by being asked, struggling to establish them through peaceful revolution is the only way”. As a result, he was arrested and imprison for nearly six months. His book was eventually banned in Tibet. The fourth section discusses about two high-level Tibetan cadres in Chinese establishment who were arbitrarily arrested on subversive charges. As early as 1953 Baba Phuntsok Wangyal (Phunwang) became a victim of Han chauvinism. In 1958 he was labeled a local nationalist and accused of harboring separatist intent. The two main accusations against him were Derge case and the Lenin’s book on nationality self-determination that he brought with him when the People’s Liberation Army marched into Tibet. He was subjected to self-rectification during the anti-rightist campaign and spend more than 18 years in Qin Cheng maximum security prison. Following his rehabilitation and retirement from politics, Phunwang devoted much of his time to writing. At the end of his life, he wrote three letters to Hu Jintao highlighting the problems concerning the implementation of nationality policies and reiterated the importance of a united autonomous region of Tibetan nationality envisioned by Derge Kelsang Wangdue and Marshal Chen Yi, former vice-premier of the PRC. Another high profile purge after Phunwang was the 10th Panchen Lama. At a relatively young age of 24, he presented the 70,000 Character Petition to the senior Chinese leadership in 1962 and Mao reportedly denounced it as a “poisoned arrow shot at the Party by reactionary feudal lords.” As a result, the young Lama was subjected to a series of public denunciations and formerly imprisoned in 1968 for some nine years. The Panchen Lama’s petition is regarded as one of the most significant documents in modern Tibetan history which is based on intensive research tour that he made in different parts of Tibet from 1960 and the first-hand experience of sufferings endured by Tibetans. The petition recorded the atrocities inflicted on Tibetan people during the “Democratic Reform” and the mass starvation during the Great Famine. It went on to record the mass destruction of monasteries in the Tibet Autonomous Region and other Tibetan areas incorporated into the neighboring Chinese provinces of Qinghai, Sichuan, Yunnan and Gansu. Following his rehabilitation in 1977 the Panchen Lama was not attenuated, in fact, continued to speak for his people. He made criticism of China’s policies on several important occasions. He delivered perhaps the most scathing criticism of China’s policies at the TAR Standing Committee meeting of the National People’s Congress held in Beijing on 28 March 1987. The 1987 speech was, in essence, a repeat of the 70,000 Character Petition, except that it was delivered in person. The 10th Panchen Lama died on 28 January 1989 at Tashilhupo monastery in Shigatse. His premature death is still shrouded in secrecy. In the fifth section, the speaker underlines the scholarly discussion in China on its minority policy following the 2008 uprising in Tibet and the violence that broke out in Urumqi in 2009. In light of this, scholars on ethnic issue within China called for a change in the existing ethnic policy. Ma Rong, a Hui scholar from Peking University has long questioned the efficacy of the current ethnic policies derived from Soviet model. He has been critical of the role ethnic issue played in the collapse of the USSR, Yugoslavia and Czechoslovakia. 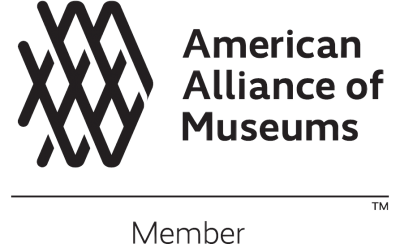 Ma strongly advocates a “melting pot” formula to avoid national fragmentation. He is particularly critical of Soviet style policies that politicize ethnicity by identifying and classifying minzu groups and then strengthening these differences through the system of regional autonomy and minority-centric preferential policies. Instead, he suggested integrationist policies like intermarriage between Han and ethnic minorities. Apart from Ma’s reform agendas, the equally provocative call for a change comes from influential policy adviser Hu Angang. Hu cogently put forward a “second generation of ethnic policy” in which he posited to strengthen a single shared national identity that would weaken ethnic identity. Hu and his colleague Hu Lianhe at the Tsinghua University “warn that the failure to limit narrow ethnic consciousness in frontier regions such as Tibet and Xinjiang has increased the threat of ethnic separatism”. The reformers called for a re-evaluation of existing ethnic policies are not met without resistance or response. The fiercest critique comes from a highly respected and influential Mongolian scholar Hao Shiyuan who is instrumental behind the existing ethnic policy discourse. Hao strongly defends the status quo by arguing that current policies are working and therefore should be retained. In a similar fashion, the scholar-cadres associated with ethnic establishments such as the United Front Work Department and the State Ethnic Affairs Commission criticized a “second generation of ethnic policy”. Like Hao, these scholar-cadres rise up in support of current policies, but stress the need of occasional perfecting rather than complete overhaul. In contrast, one scholar argued that the present Chinese leadership appears to have adopted a “hybrid model” resulting from combining the first the second generation of ethnic policy. He wrote “this policy maintains the political autonomy of ethnic minority areas and provides economic equity and empowerment as the first generation of ethnic policy does. In addition, the hybrid model also embraces the social, cultural and psychological integration of the ethnic minorities into the Chinese nation-state while respecting ethnic diversity”. The important part of the discussion rest with a serious concern that the State-encouraged socio-political incentive-based intermarriage between Han and Tibetan that has been considered an important indicator of social cohesion and national integration is still a far from widely accepted practice in Tibet. The next speaker is Mr. Tempa Gyaltsen of Tibet Policy Institute, Central Tibetan Administration. The title of his presentation is “Garbage Crisis on the World’s Highest Plateau”. He will be speaking at the Tibet Museum on January 30, 2019.